Why inventions? The answer lies in the fact that the same creative, problem-solving, communication and decision-making skills that we value so highly in science, are the foundations of the invention process. This is why Science Pioneers encourages students to get involved in the invention process. You don't have to be a famous researcher or engineer to come up with the next big invention. 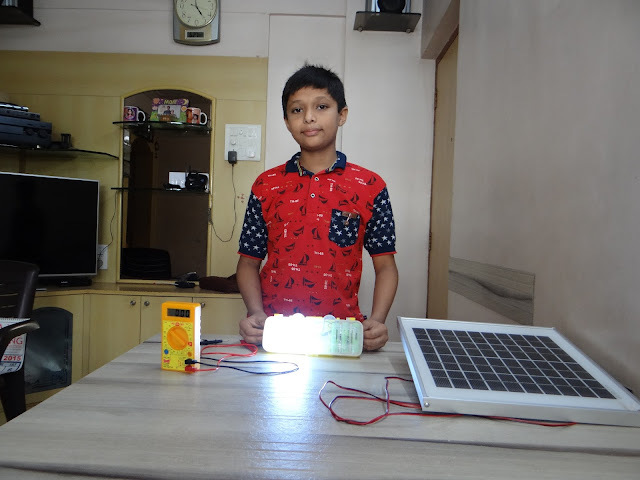 This 6th standard student's project of making a Solar Lamp from the recycled material has proved just that. Vedant, a Class 6 student, is not like other children his age. 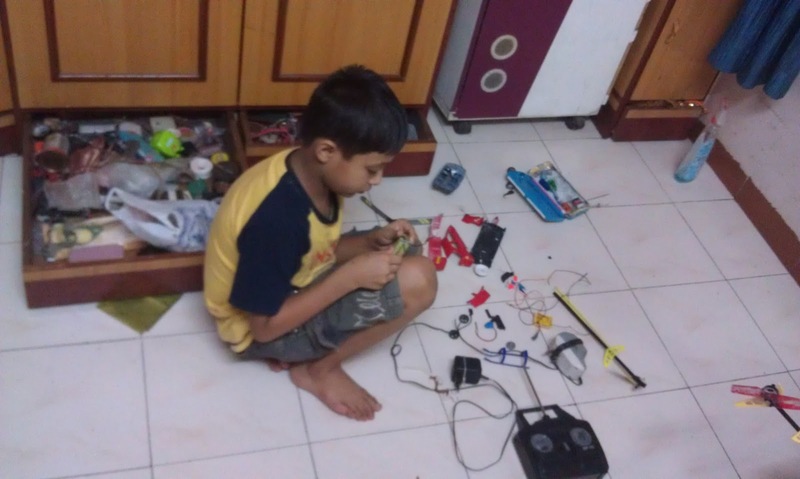 He plays with LEDs, diodes and magnets and dreams of making a free power source for the country. As of now, he has successfully developed an LED power source from scratch by recycling a discarded laptop battery. While many of us struggle to find a way to discard our dead laptop batteries in an eco-friendly manner, this 11-year-old boy from Maharashtra has found a brilliant way to actually use them. Moreover, his idea can help hundreds of people in Indian villages who do not have access to electricity. 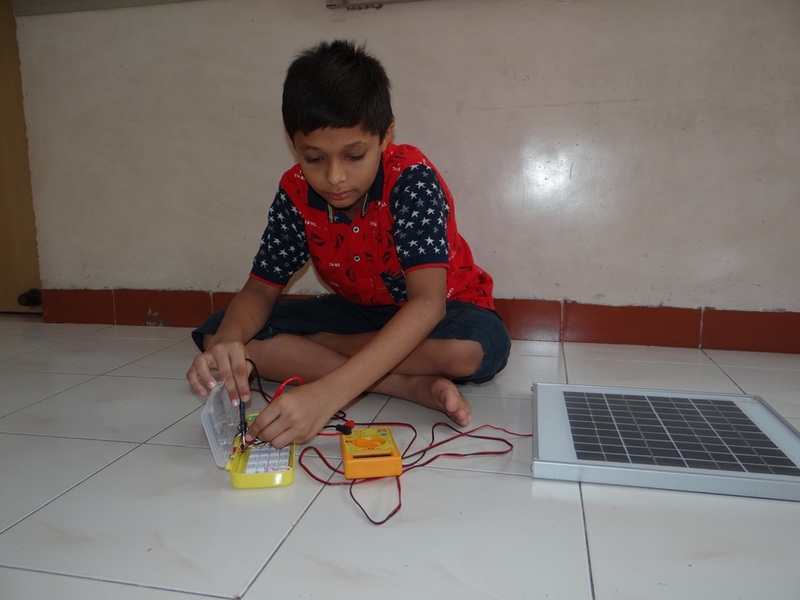 Meet Vedant Dhiren Thaker, a Grade 6 student of Shantinagar High School, who, unlike other children his age, spends a major part of his day thinking about ways in which he can provide free electricity to the country. In his quest, armed with his love for all things electronic, he has designed and developed a power source which has been made from scratch with a recycled laptop battery. In January 2014, the battery of his father’s laptop stopped working after a year of use. Vedant wanted to find out what’s inside the battery, so he opened it. A laptop battery pack usually consists of 6 to 8 cylindrical lithium-ion (Li-ion) cells. On breaking into this one, Vedant found that only one of the 6 cells was not working. The rating of one cell was 3.7 volts and 2.2 amperes. All the others were functional but since the cells in this pack were connected in a series and one of them had stopped working, power supply to the others was also restricted. 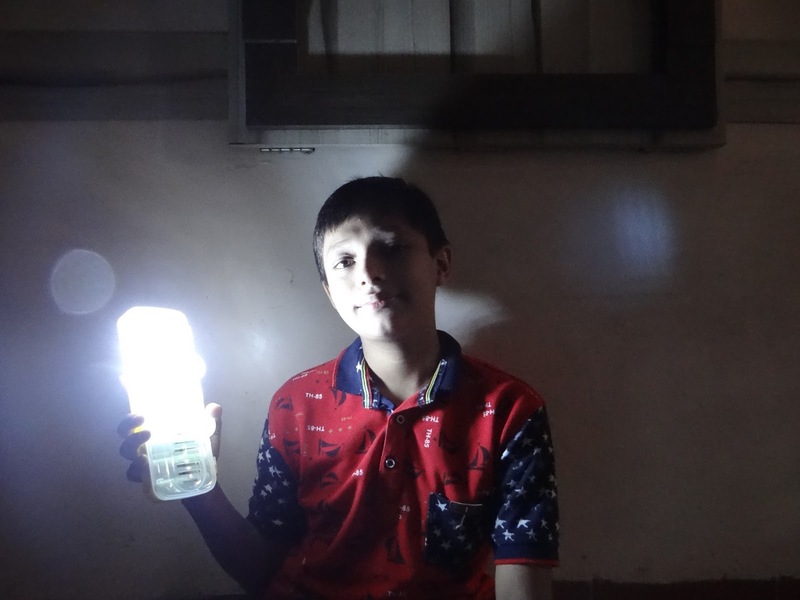 To his father’s surprise, he used one of the remaining functioning cells and installed it in a dysfunctional CFL inverter lamp which then started working perfectly. 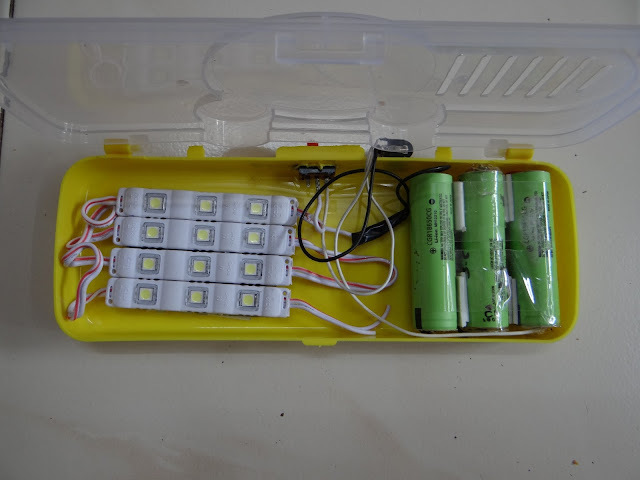 Inside the box, the cells are connected to the LED strips through a connector and a switch. During normal operation, the switch is closed so that the battery can supply power and illuminate the LED. When he reached this point, it struck Vedant that there are no charging sources in villages. Hence he thought about one of the best available renewable energy sources – solar energy. His father got him a working solar panel, which he was lucky enough to find at a scrap store. 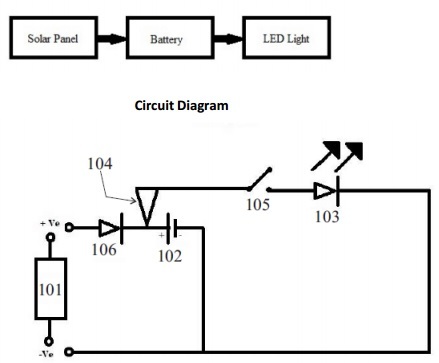 To charge the cells, a direct current output voltage line from the solar panel is plugged in the connector. It hence supplies the output voltage from the solar panel to the cells. Another challenging thought at this point was what if there is a reverse current flow from the battery? To avoid this, Vedant added a diode to the circuit, between the solar panel and the battery, so as to prevent reverse current flow from the battery to the solar panel during the charging process. And this gives us a power source developed from the use of functional Li-ion cells of a discarded laptop battery pack, with the added feature that the cells can be recharged. All of it done by an 11-year-old!